Something that has been mulling around in my head for a bit, because I've seen it on Instagram frequently recently, is the danger of tourists. Take, for instance, the Isle of Skye, which CNN wrote about last year, saying that the beautiful island should be avoided because of poor infrastructure and too many tourists. (I don't agree 100% with the article either!) I don't think all tourists are bad and tourism is fantastic for the economy; I'm always trying to get people to visit Scotland because it is such a gorgeous place. At the same time, tourists can be exactly what an area doesn't need. Take, for instance, our most recent trip up to Glencoe. Glencoe is one of my favorite places in Scotland, in the world actually. 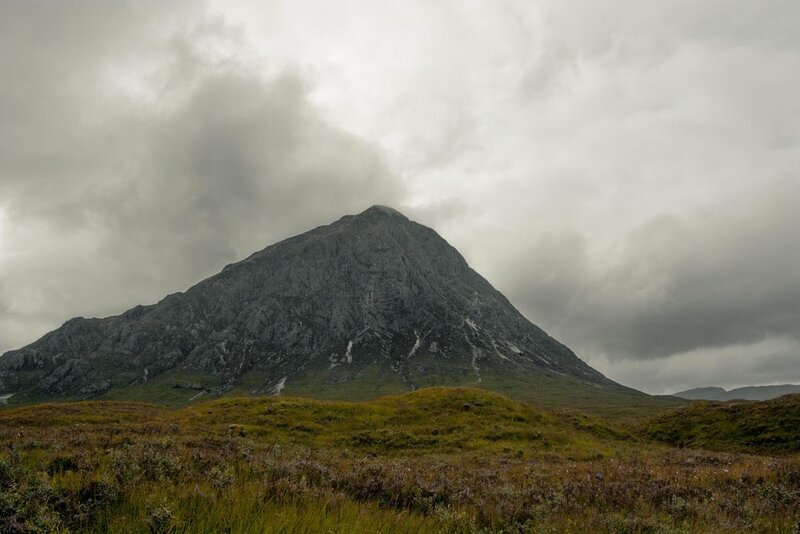 I love the drive up, the winding road around Loch Lomond, the steep climb up to Rannoch Moor and then the beautiful, otherworldly scene of the moor before the massive Buachaille looms over you as the road dips and you're greeted by the Three Sisters. We've only visited Glencoe in the off-season, or early summer before the tourists really hit. What horrified me though was not the crazy drivers or the people all over the place (by Glen Etive standards), but rather, the way people viewed the road and surrounding area with complete distain. We saw a lady urinating on the side of the road. We saw rubbish bags piled up heaps upon heaps at the end of the road and more rubbish that people hadn't bothered to even bag up just lying around the two dumpsters. Walking around near the loch, I nearly stepped in some dog's waste that the owner failed to clean up. 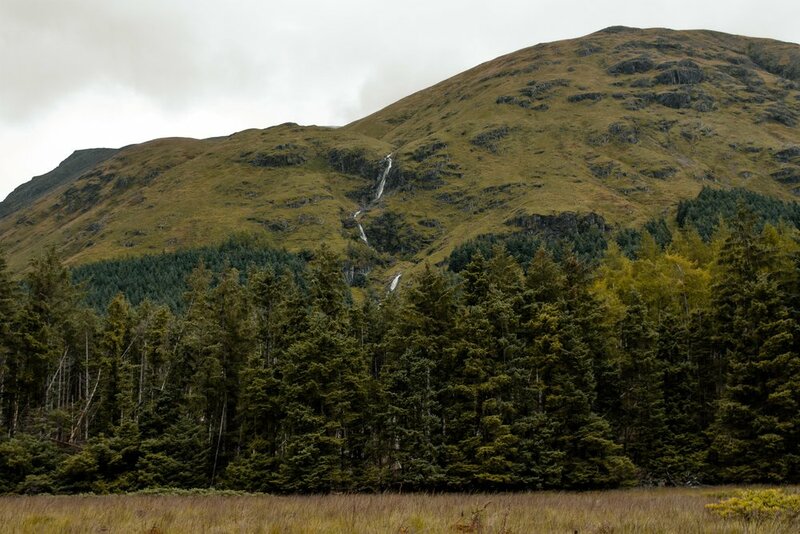 Normally, I leave Glen Etive feeling refreshed and moved by the beauty - this time I felt disgusted and annoyed that people would treat such a beautiful site so poorly. Tourism is a great industry, and Scotland needs the funds that it brings it. Sadly though, this particular area isn't designed to cope with such high numbers of tourists that it's current popularity brings. What Scotland doesn't need are people who treat the scenery with such distain. Scotland already has issues with locals who can't dispose of their waste properly; it doesn't need tourists exasperating the issue. All this to say, I don't have any grand, sweeping solutions on how to deal with the issues we encountered in Glencoe and Glen Etive, because it's down to personal responsibly for one's actions. I'm thrilled people can visit and enjoy this gorgeous part of the world, but I'm disappointed at how a few treat it so poorly and ruin it for everyone else. London on a budget... is it possible? Well, yes and no. London isn't exactly known for being the cheapest of destinations. And sadly for me, it's one of my favorite places to visit. So, what's a girl to do? I was recently watching "The Crown" for the umpteenth time (ask my husband. It's true. I'm addicted.) when I realized, I had forgotten to do a post on our last trip to London. We did our usual - train down on Tuesday, return on Thursday evening, but I always enjoy our trips, whirlwind as they are. 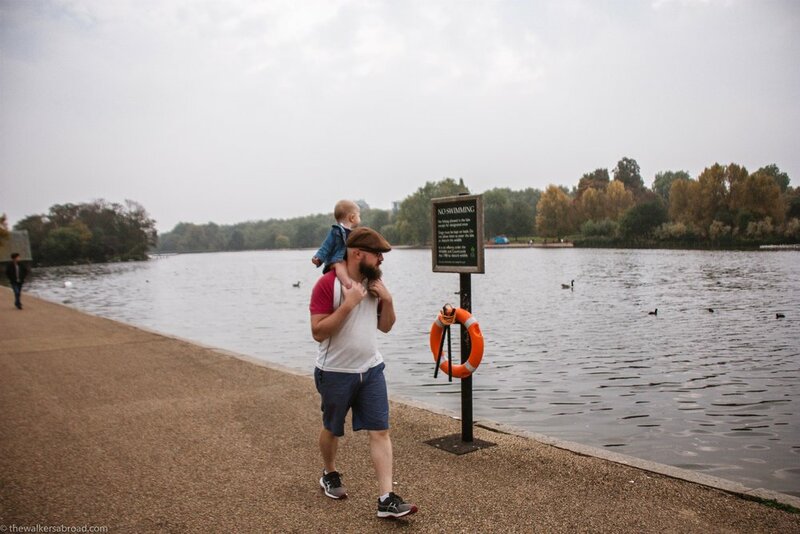 This trip, we stayed near Hyde Park which was quite brilliant. It was nice at the end of a day to eat an early dinner and go for a walk in the park to settle the baby before returning to our hotel. We also learned this trip to bring a baby cot. Just, do it. We stopped by 221B on our way to our hotel. I didn't get the chance to go back in there, but it was really very fun to just walk by. A beautiful view on our evening walk! Love the houses at dusk. On Wednesday, we puttered around before deciding on visiting the Victoria and Albert Museum. It is such a gem, with a strong focus on decorative arts and design. The beautiful ceiling we ate under at the Victoria and Albert Museum. Museum food was very delicious. The museum was very busy on the ground floor, but the upper levels were nearly empty. I am drawn to the quieter galleries anyhow because I like to study the pieces in relative silence. 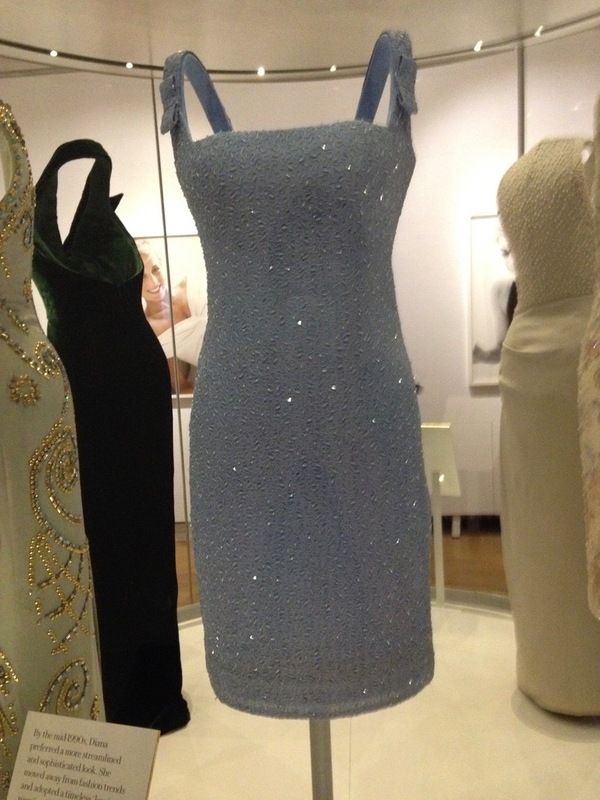 For me, the highlight of this trip was visiting Kensington Palace and seeing the exhibit of Princess Diana dresses. The dresses were beautifully arranged in dimly lit rooms (so not the best for pictures) but it was a gorgeous exhibit. Seeing her dresses, amid large photographs of her was really awesome. They were all so beautiful and detailed! I was very worried that I wouldn't be able to get into Kensington because we were going later in the day and the online tickets has sold out. But, I not only got in, I didn't have to wait in a queue and there was hardly anyone there. Also, Georgie slept the whole time so it was a lovely bit of quiet while I soaked up the rooms and pushed her around in the pram. My absolute favorite exhibit, besides the exhibit on Princess Diana, was the Queen Victoria Rooms. Seeing her dresses really showed me just how petite she was. And the room with the readings of her letters written after the death of her husband Albert was incredibly moving. It was terribly smoggy this time in London. The greyness in the picture is not from a filter, it really looked like there was heavy fog everywhere. I was so glad to reach Scotland take a deep breath of fresh air! Wednesday, we walked all our luggage up to the British Museum and explored for a bit. Of course, the highlight for Aaron was seeing the Rosetta Stone, so I'm glad he could come along for that. Afterwards, we grabbed a quick lunch with dessert to go and ran to catch our train home to Scotland. As always, it was a whirlwind trip, but a beautiful one. Autumn looks good on you, London. Be back soon. This weekend we rented a car to transport all our early goods from our hotel to our new flat. Since, we had the rental through the weekend, we decided that we should put it to good use and drive north and explore the country a bit. We ended up at Inveraray Castle, about 45 minutes north of Glasgow and decided to walk around the grounds. Admission is £10 per person and you have access to all the grounds, gardens, and about half of the house. The house is significant because it is the traditional home of Duke of Argyll, Chief of the Campbell Clan. The Duke also has a home in London that he spends most of his time at, but about half of the house is devoted solely to their use and does not permit visitors. The gardens and grounds were beautifully landscaped. The flowers were in blossom and I am still shocked by how many flowers are still blooming this late into September! We wandered around the grounds for a bit before entering the castle. The foundation for the castle was laid in 1745. The original designers, Roger Morris and William Adam, designed a two story castle with different elements drawn from the Palladian, modern Baroque, and Gothic styles. Later additions to the castle came about because of a fire in 1877. The additions included a third floor and the cones to the tops of the corner towers. Inside, the rooms are smaller then I expected, but well-designed and informative. The incredible Armoury Hall displays hundreds of weapons on all four walls. The tall ceiling displays the family crest in the center. Around the room are various artifacts from various military exploits the Campbell Clan participated in. As you move towards the next room, you're greeted with family portraits on the walls, including a group of modern pictures atop the piano. One of the pictures is of Audrey Hepburn from My Fair Lady, displayed because the piano was the one used to compose music for the famous movie. Upstairs the two of the bedrooms display artifacts, letters, and a video about the family during the World Wars. One of the middle rooms is devoted to activities of modern day. My favorite montage was the framed picture from Downton Abbey, because yes, this was the castle used in Season 3 Christmas special set in Scotland. In the basement is the kitchen, displayed as it would have appeared in the Victorian Era. The walls are covered with beautiful copper pots and pans. A tea shop and gift shop round out the rest of the basement which opens towards the gardens. The drive up to Inveraray is beautiful (coming in another post) and the castle is a definite must see if you're ever in the area!